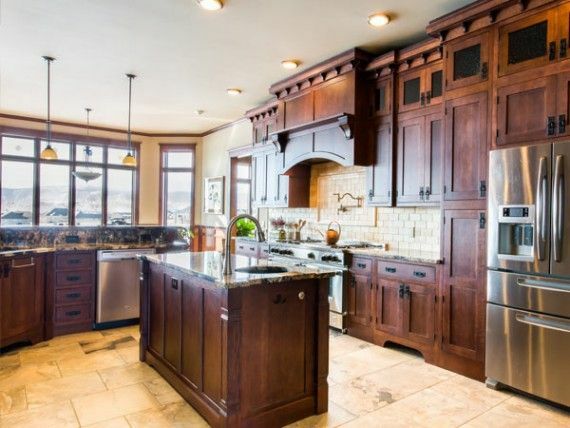 INTERIOR IMAGES has been providing floor covering, cabinetry, countertops, ceramic tile, lighting and window coverings to Northern Wyoming and Southern Montana since 1989. Whether you are involved in new home construction or remodeling, there are a multitude of decisions to be made. You want to know that you have made the right decisions for your home, your family and your lifestyle. It will make your job easier if you have a knowledgeable staff of professionals to depend on… and the Interior Images team can be your greatest asset. We have brought together outstanding design professionals, a full line of products, and quality installation for your home, office, or commercial building. Our focus continues to be on helping every customer achieve his or her dreams through competitive pricing, outstanding design and superior installation. Jeremy has been in the flooring industry since 1988. His knowledge of products and installation techniques make him the “go-to” guy for both residential and commercial flooring. Originally from the metro area of Michigan, Pam has over 25 years of experience in home building, and 15 years experience in kitchen design. She has a vast knowledge in cabinetry and design to bring to the table. From the moment you enter Interior Images, we hope you feel comfortable, we hope you feel at home. Undivided attention. Every time. No exceptions.